Briefly the property comprises: canopy porch; entrance hall; sitting/ dining room; lounge; living room; large lounge sized conservatory; kitchen; inner hall; stairwell hall; ground floor WC; landing; 4 bedrooms; bathroom; en-suite; attached workshop/store with boiler; double garage with loft store; extensive block paved parking area; paddock; gardens; PVC double glazing; oil fired central heating; septic tank; mains water & electric. 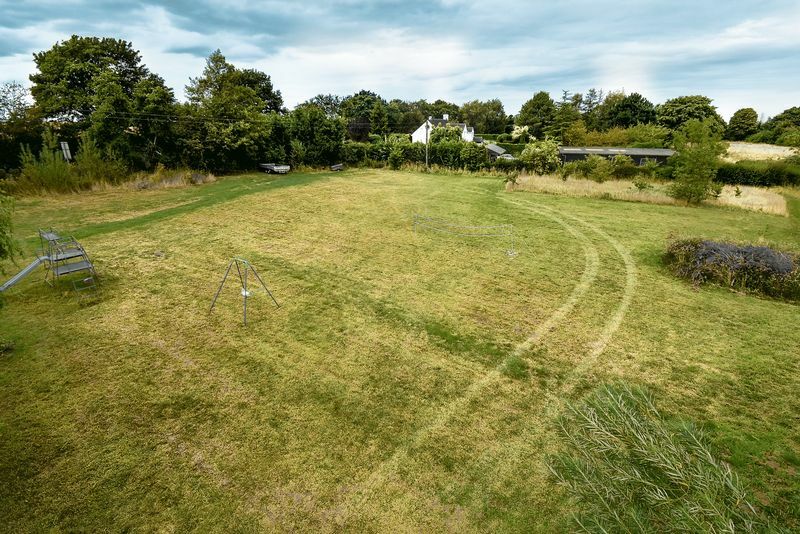 A rare opportunity to acquire a well maintained large character home standing in around nearly 1 acre of grounds with decent parking facilities, storage and outbuildings. 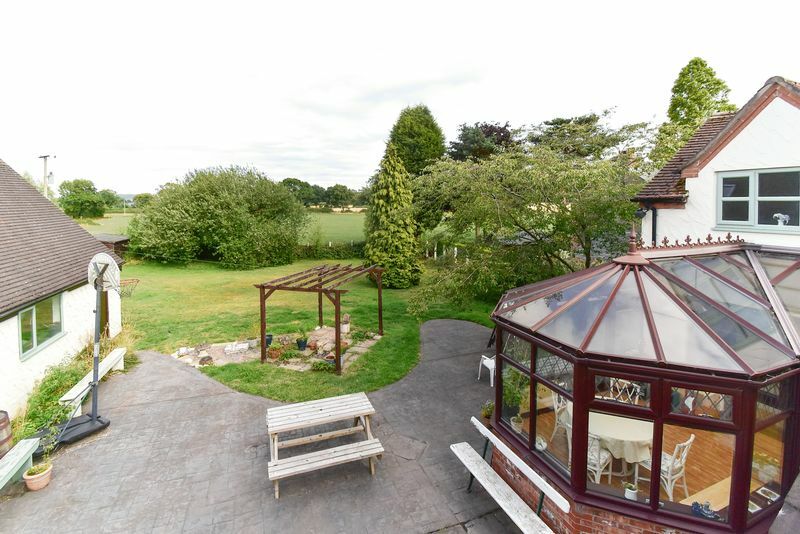 The property is positioned against the Sandbach Road, in the right corner of its plot, leaving the paddock to dominate the site and with large rear gardens. 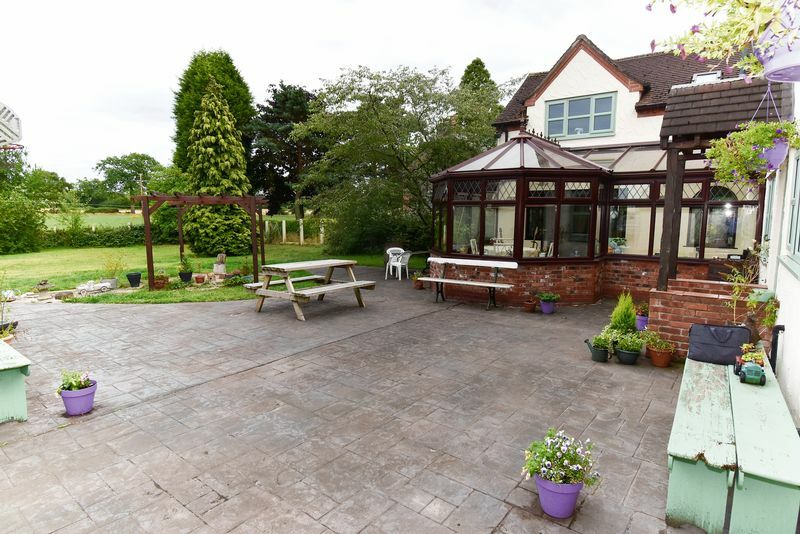 The location is very convenient being just a short drive in to Congleton and to the Sandbach M6 Junction. It can be difficult to buy land and home together, especially in this price range. 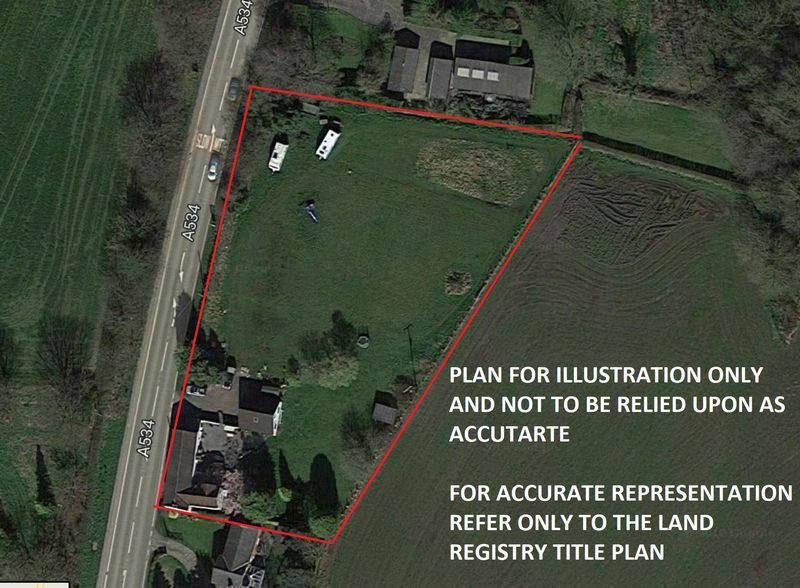 This site offers a useful amount of land along with a large rewarding home and generous garaging/ workshop areas. 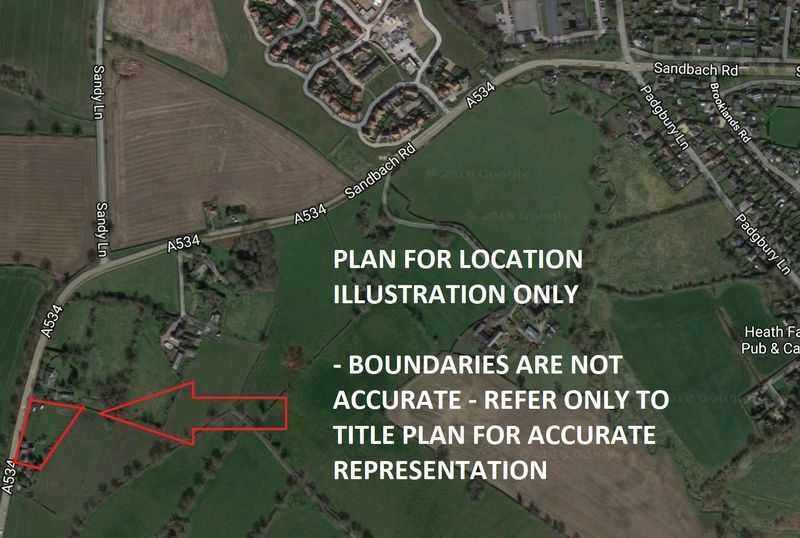 The compromise here is that the property is positioned against the road, but with that comes privacy which many buyers value with these main road non-estate positions. 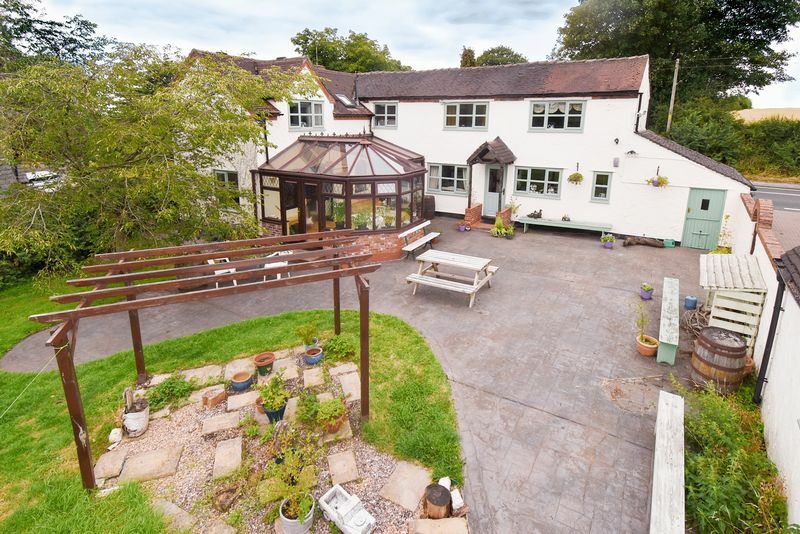 It is likely that you will struggle to find such an impressive home within an acre of its own land and in a non main road position at this price and in this area. 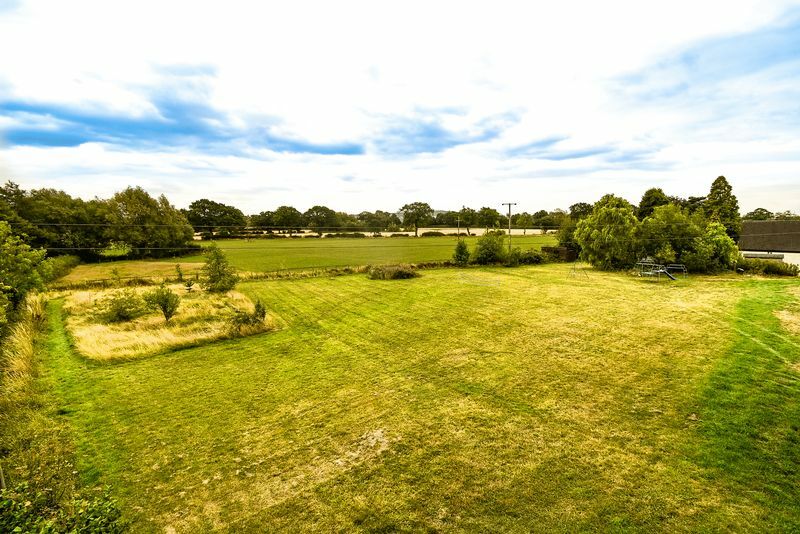 The property is very likely to appeal to purchasers with equestrian interests looking to buy at this attractive price level. 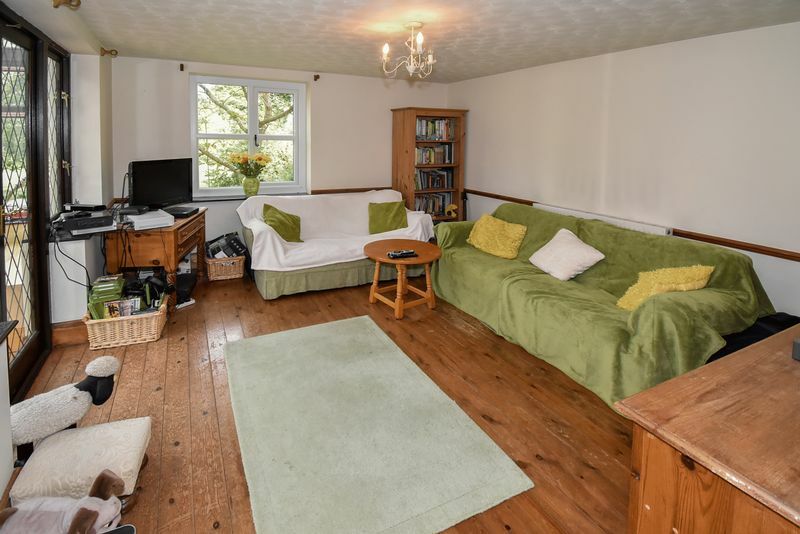 The property is very close to a bridle way which situated at the rear behind neighbouring fields. The paddock size can be increased by reducing the large formal garden area currently given to the home. 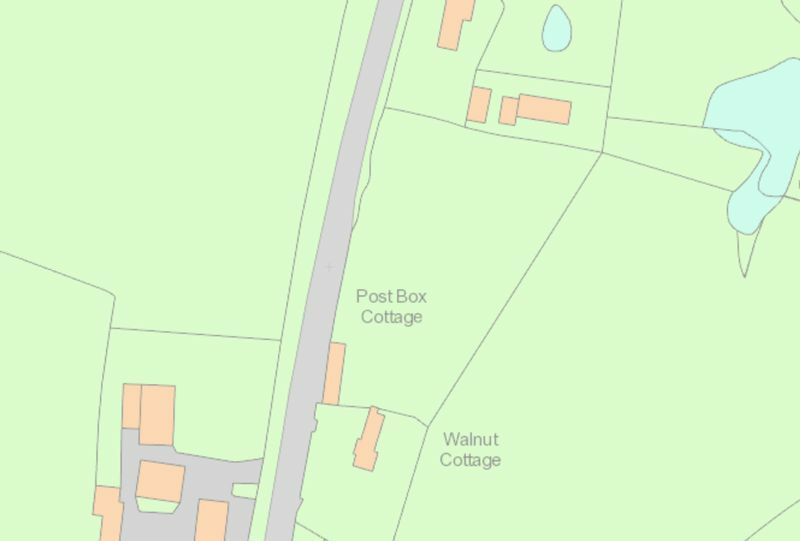 The site could easily accommodate stables, which could be sited near to the parking area for convenience (subject to consent). The existing large gardens are ideal for family fun and summer time parties. 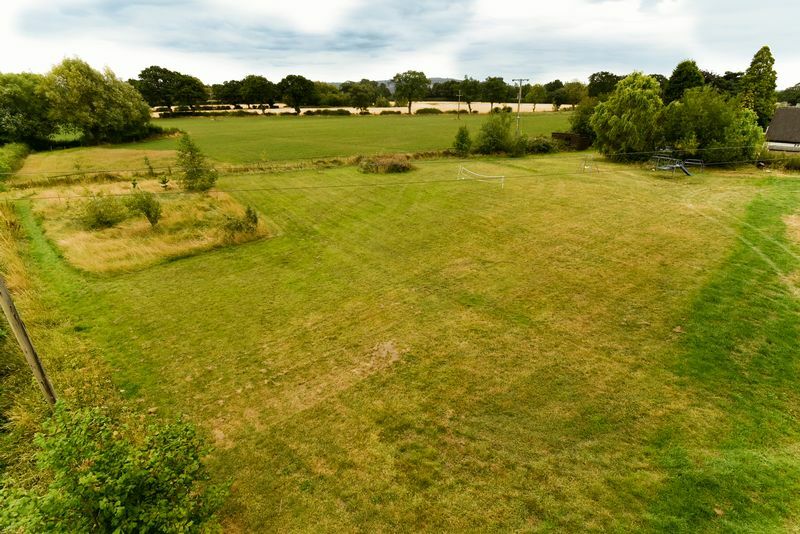 The plot has just one neighbouring property positioned to the right, it is then flanked by lovely open countryside on all other fronts and therein enjoys good degrees of privacy. This feature could appeal to those looking to run a business from home (subject to consents). Local footpaths enable lovely local countryside walks which could easily become part of your weekly routine. The majority of the window aspects focus backwards on to the rear gardens and the attractive courtyard garden setting. At the first floor level the views extend over the countryside at the rear. 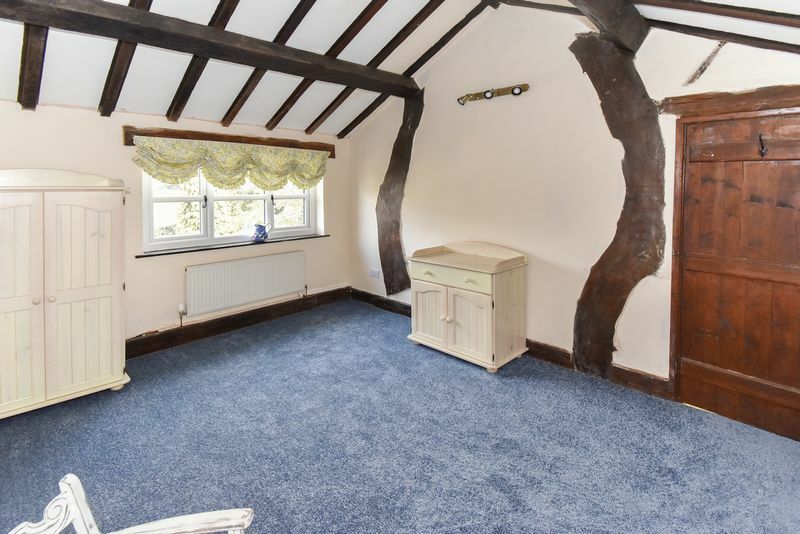 The house is impressively proportioned especially when taking in to account the owners claim that it dates back to around 1830. 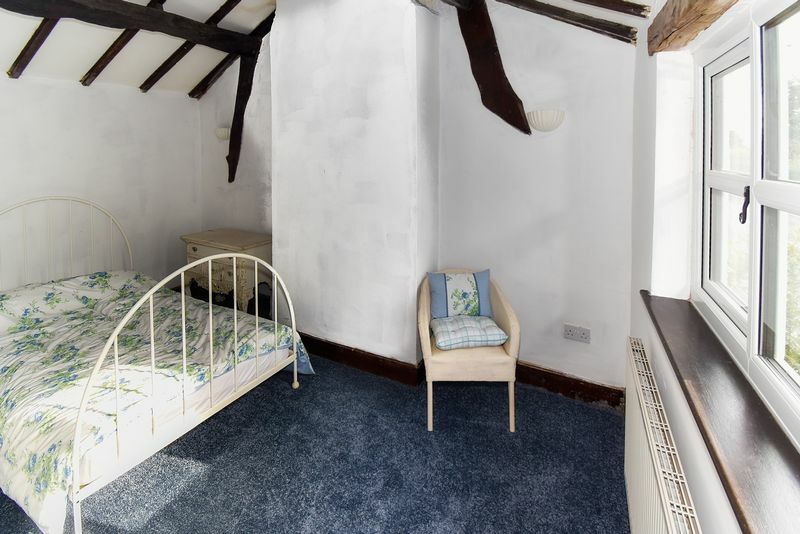 It offers large rooms throughout and it is larger to the ground floor than the first floor. 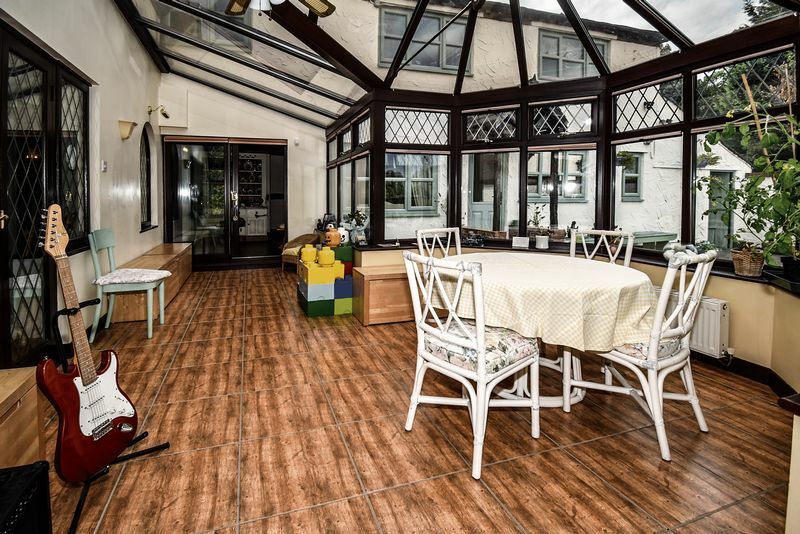 The ground floor offers three large reception rooms, a very large conservatory, ground floor WC and a kitchen. There is a large attached outhouse workshop/ store adjacent to the kitchen. The two rooms could merged would create an impressive dining kitchen which would be a valuable improvement to the home. Alternatively, the workshop could be converted in to a utility room. 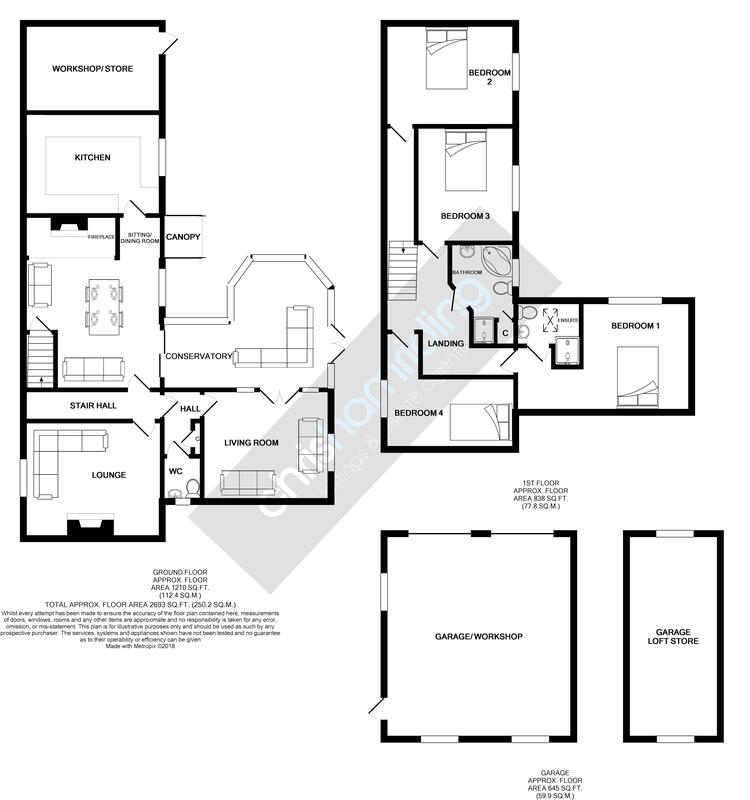 There are four double bedrooms at the first floor with bathroom and master en-suite. 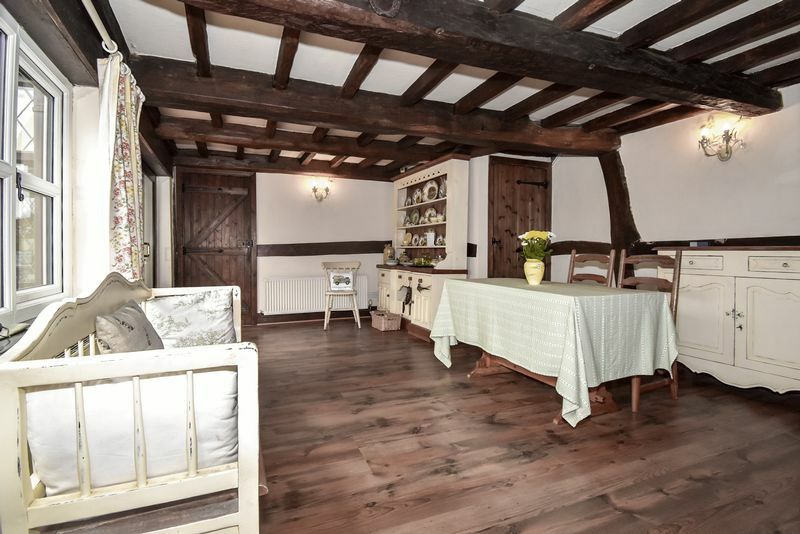 The home offers a surprising modern day specification and spacious rooms along with all the character of the period. 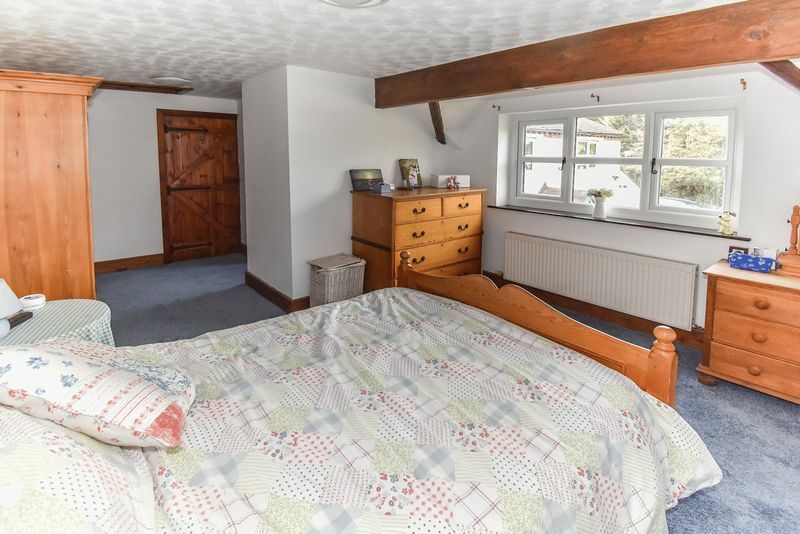 The property has undergone some recent valuable improvements such as rewiring, sympathetic re-plastering and refitted PVC double glazed windows. 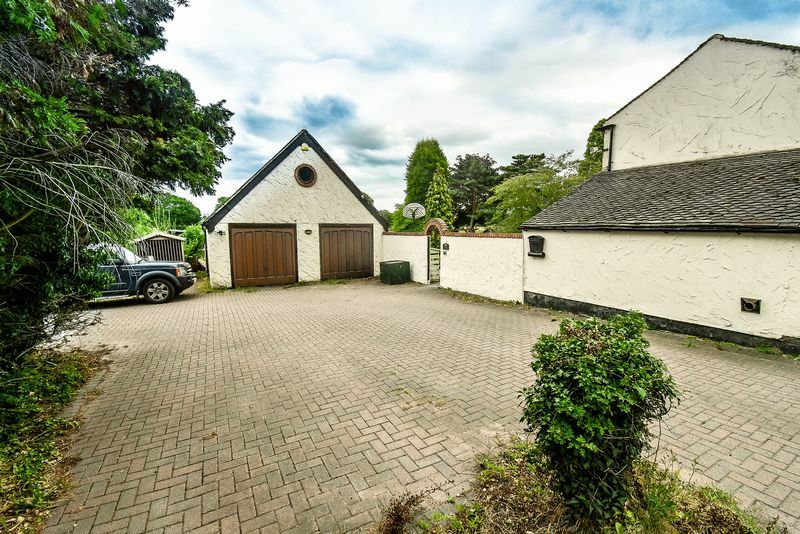 There is an impressive block built and rendered double garage with a 6m x 6m footprint. 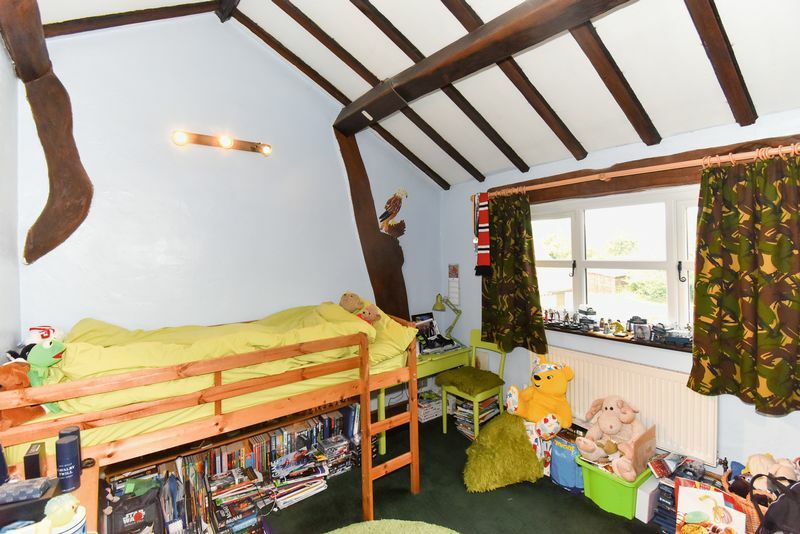 The roof pitch is high and there is a 6m x 3m useful loft area. The garage is multi aspect and with loft windows providing natural illumination and power and lighting is installed. There is also the attached 4.45m x 2.86m outhouse workshop/ store adjoining the home. A large block paved area in-front of the garage provides ample parking. 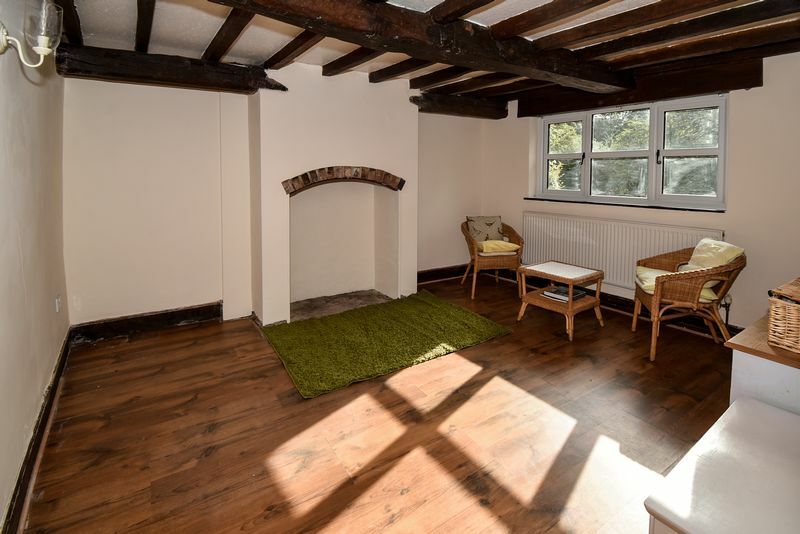 The property is just a short drive away from the West Heath area of Congleton. 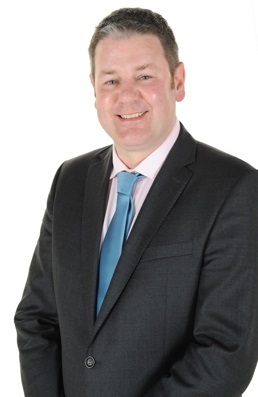 West Heath features primary and secondary schools and the excellent West Heath Shopping Centre. Congleton Town Centre and Retail Park are also within easy reach. Attractive tiled canopy porch. Double glazed composite style external door to the entrance hall. Exposed beams. Matted flooring. Access to the sitting/ dining room and to the kitchen. 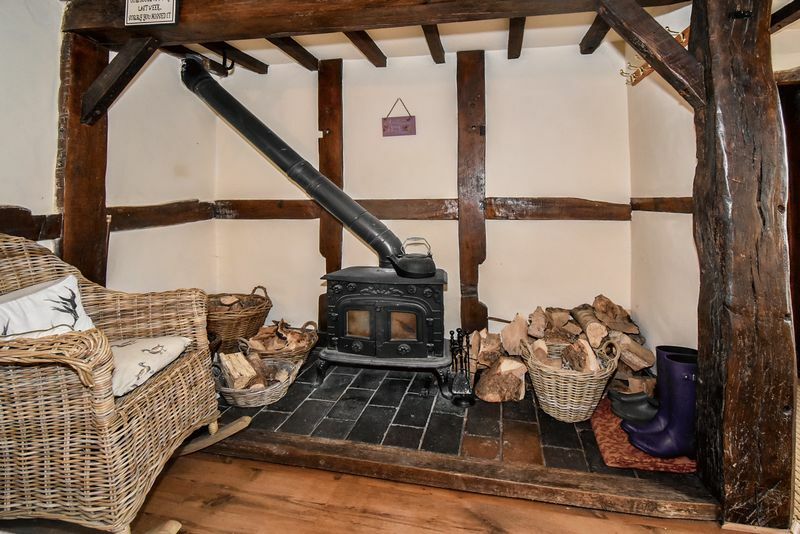 Fabulous character room packed with exposed beams and a large fire recess with log burning stove. Double glazed windows. Access to the conservatory and stairwell hallway. Under stairs storage cupboard. Oak wood style flooring. Central heating radiator. Exposed beams. Stairs leading to the first floor. Double glazed window. Access to the lounge and inner hall. PVC double glazed window. Character beams and feature fireplace recess. Oak wood style floor. Central heating radiator. Access to the ground floor WC. Built in storage cupboard. Access to the living room. PVC double glazed window. Suite comprising WC and wash basin. Tiled walls and stripped wood floor. Central heating radiator. PVC double glazed window. Internal windows and French doors to the conservatory aspect. Stripped wood floor. Central heating radiator. 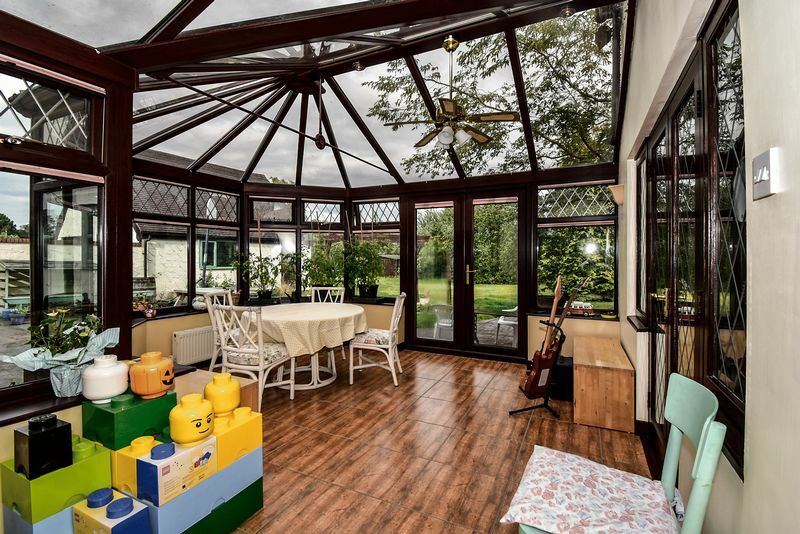 Large P shaped conservatory overlooking the garden. PVC double glazed windows, ceilings and external French doors opening to the garden. Oak wood effect tiled flooring. Plastered and decorated internal walls. Central heating radiators. Wall light points. PVC double glazed windows. Character ceiling beams. 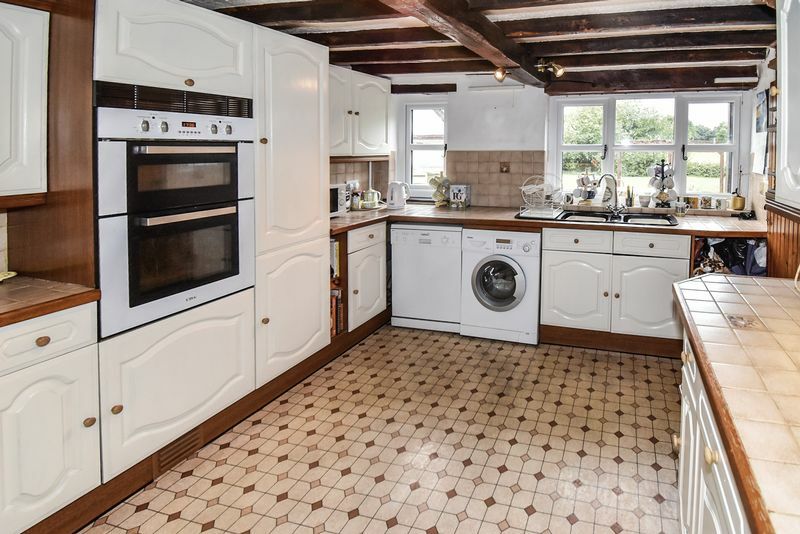 Built in kitchen suite with a comprehensive amount of units with tiled work tops, double oven, hob and sink unit. There is potential to open the room up to the boiler room and to create a larger kitchen or dining kitchen (subject to obtaining any necessary consents). 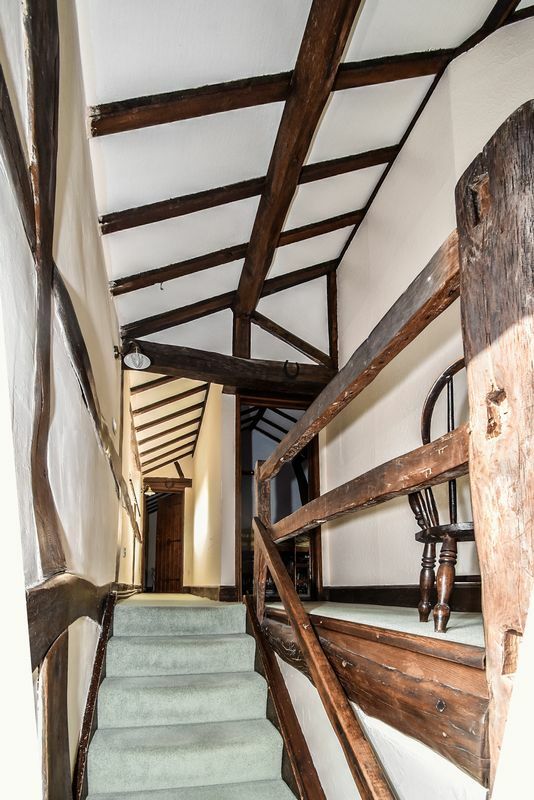 A long landing area packed with exposed beams and giving access to all first floor principal rooms. Skylight. 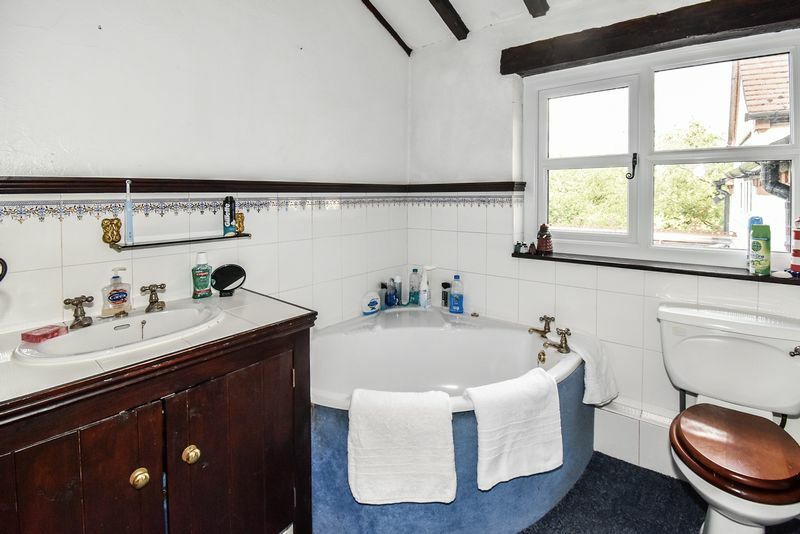 Suite comprising WC, shower and sink. Tiling. 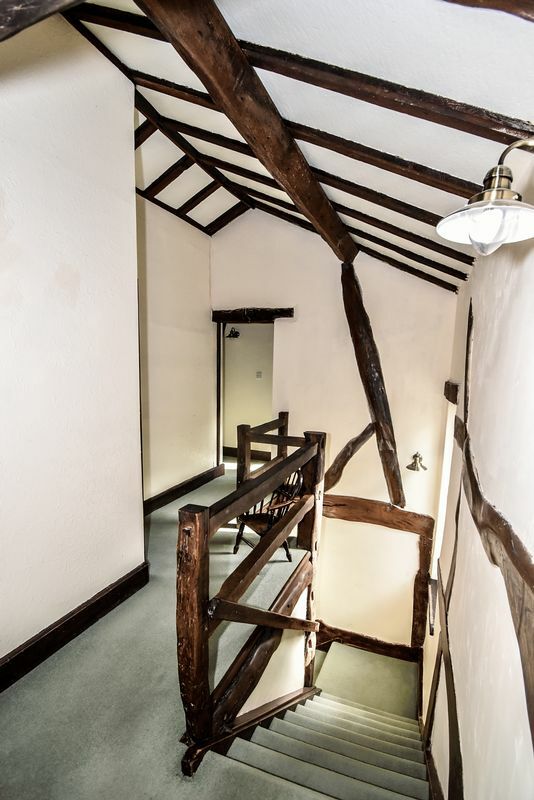 Packed with exposed beams. PVC double glazed window. Central heating radiator. Packed with beams. PVC double glazed window. Central heating radiator. PVC double glazed window. Packed with beams. Central heating radiator. PVC double glazed window. 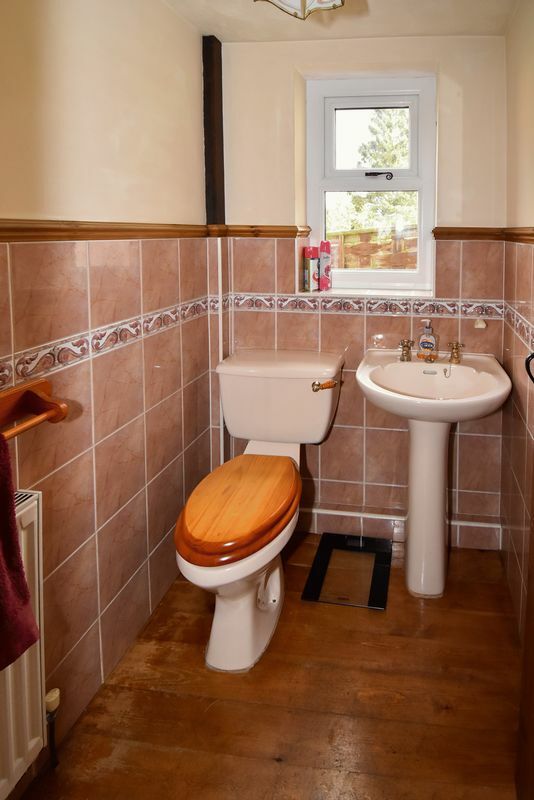 Suite comprising: corner bath; separate shower cubicle; sink and WC. Built in cupboard. Tiling. Large storage room/ workshop. Houses oil central heating boiler. Could be integrated in to living space by being opened up to the kitchen (subject to any necessary approvals/ consents). Block built and rendered with a tiled roof, twin garage doors and several multi aspect windows. Side personnel door. Access to a garage loft area with two windows and flooring. Garage loft measures 6.44m x 3.03m. 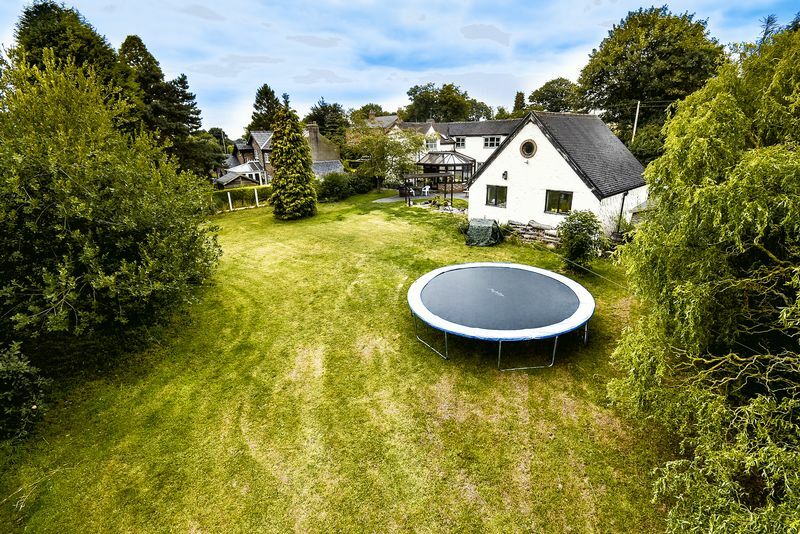 The paddock, house, gardens, parking and garage lands areas combine to approximately one acre. The house, garden and buildings stand in the front right corner of the plot which leaves a decent amount of uninterrupted land dominating the plot.